It's a wild ride when you go with Extreme Machine! 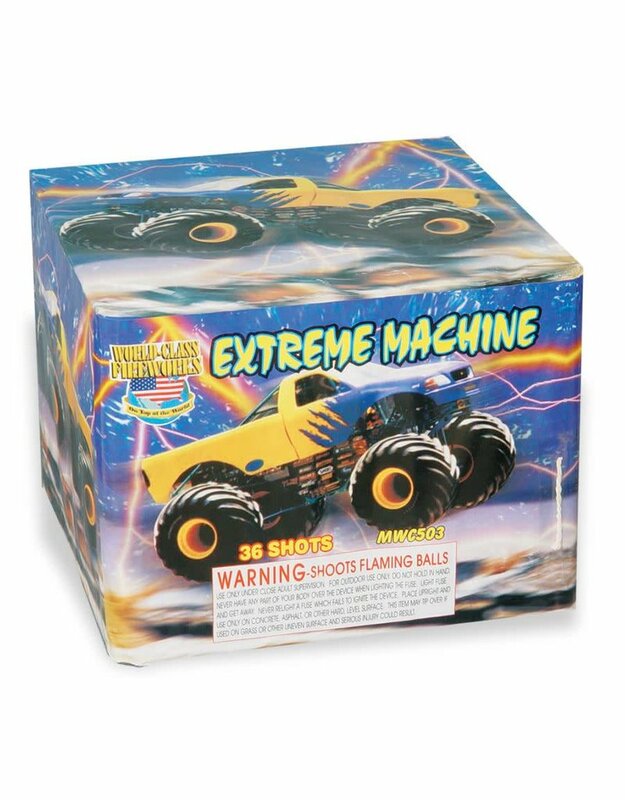 Thirty-six shots of pure pyromania erupt from this 500-gram treasure, featuring whistling tails, crackling flowers and other great aerial effects that will leave your crowd stunned. 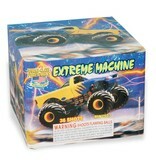 The Extreme Machine is sure to be the star of your show.